Arctic, earlier known as Arctic Cooling (AC for short) has now established a rich history in terms of providing cooling and various add on equipment for the PC hardware market. Over time, they grew and got themselves introduced into the sound division and just over a period of a few years, they have already managed to take the market by storm. 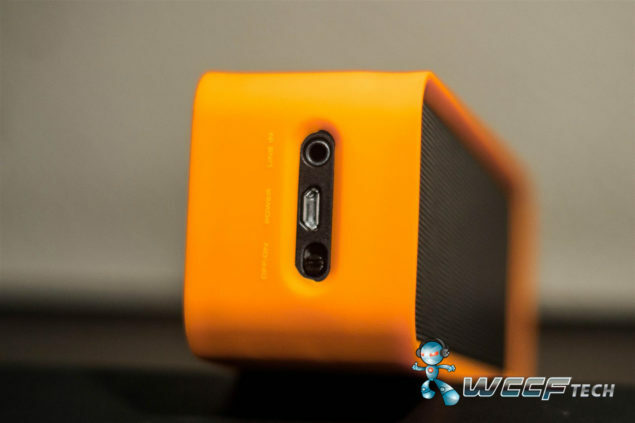 Therefore coming onto our subject of interest, Arctic sent us a portable Bluetooth speaker better known as the ‘S113BT’ which for its size really gave us a heck of a surprise. Read on to see our depth review. Once unboxed, the speaker comes with a 3.5mm to 3.5mm male to male audio jack, a micro USB cable for charging the Bluetooth speaker, a small handy pouch with pockets on the inside and a few multi colored silicone like stickers for the speaker itself. The speaker is in a rectangular shape and encased in a silicone like rubber housing in an orange shade from top to bottom going from its square like sides, has its wider sides exposed in black consisting of both having mesh wire grills with one composing of a machine pressed boxed-spiral upfront of both 3W drivers (speakers in other words), 3 push buttons composing of the volume down, Bluetooth sync and volume up. The back on the other hand depicts two bass radiators and as well as the glossy plastic that sits inside the mesh and is visible on both sides and could have been kept matte as to give the product a more of an exquisite look. The side of the device features the charging port, a 3.5 mm socket and an ON/OFF switch. 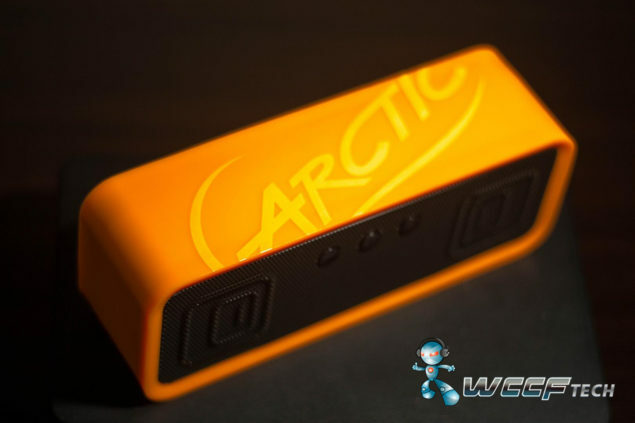 Aesthetics wise, the feel of this product is quite nice and Arctic’s company logo is depicted on top in a lighter shade of orange. 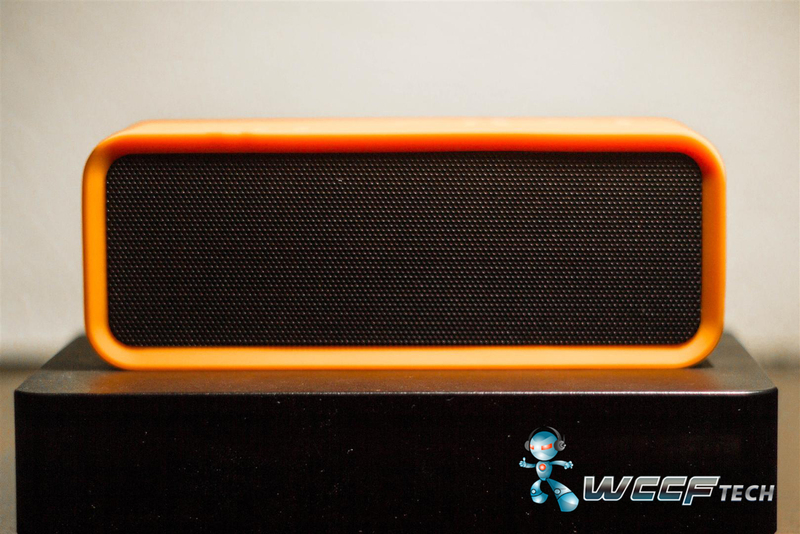 The plus point here on the material used here is that it actually gives you a very firm grip; meaning either you have slippery hands or wanted to place it on any slope, the speaker wouldn’t tend to lose its sitting place. Coming onto testing, we first need to sync our device with the S113 BT itself. The speaker comes with native Bluetooth 4.0 and NFC pairing so with ease you can pair your smartphone without a hitch. In order to pair with the speaker, you would have to keep pressed the sync button (denoted by a box symbol inside it much, similar to any iPhone’s home button) for over 5 seconds after which the LED light flashes red/blue after which you can either pair up with Bluetooh or NFC on your device. Quality of sound wise, I proceeded to change the equalizer settings on my iPhone to an extent where speakers tend to start bursting out their audio, losing their sound quality. Keeping the speaker as well set on maximum audio level, I found it quite amusing that no matter what setting I tried, the sound would not simply get distorted at all and rather gave an impression as if my phone had lacking on output. The dual 3W speakers along with its bass radiators are sufficiently enough to call this a proper mini beatbox with audio easily audible up to 10 meters. Coming onto time duration ,the 1200 mAh battery managed to squeeze out around almost 8 hours of juice on a full charge with the volume kept on 75%. Off course it can do even more if you lower the volume down. Never the less it quite easily meets its manufacturer claims of 8 hours itself. Range wise, I checked the distance for up to 15 meters after which a loss in quality resulted but still Bluetooth 4.0 does give an extra edge of 4-6 meters over its earlier variations. Now there might be some who would use this as a conference table communications device and for that, the omni-directional microphone has sensitivity of a 5 meter radius, and audio quality through the microphone is a bit better than your average phone mic itself. Coming onto buying this product and looking at the 49.99 pounds price tag, one would tend to be set aback on whether to make such an investment for a Bluetooth speaker keeping in mind the rest of the competition from various Chinese vendors, it’s safe to say that with Arctic’s S113 BT, you would be getting something that just doesn’t look nice on your shelf but also powerful enough to replace the earlier generation of beat boxes in terms of portability and sound quality. 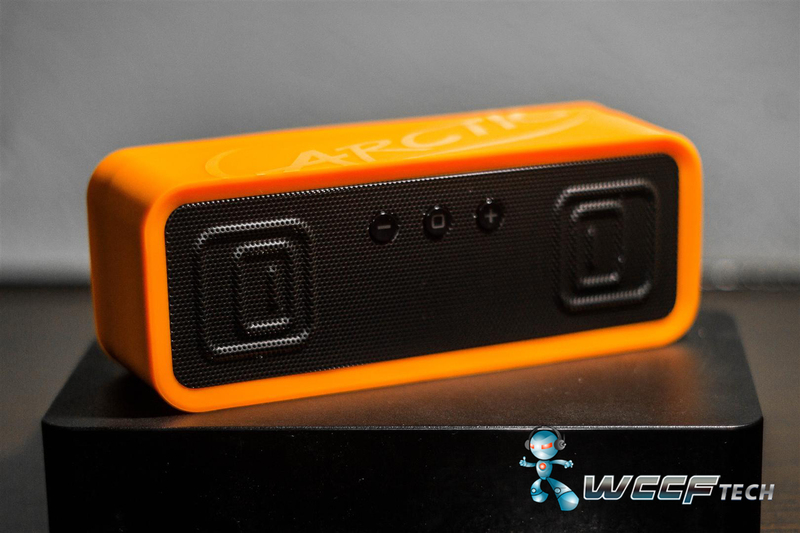 If you’d like to buy the Arctic S113 BT, you can check out Amazon’s listing here.